Before the competition, the students had plenty of questions for Chingy. They wanted to know what it was like to attend the BET Awards. They were curious as to inspired him to make music. They wanted to know how old he was when he first started performing. After being inspired by Michael Jackson, Chingy was 12 years old when he started pursuing a career in music – the same age as several of the camp members." NPR's Here & Now: "Can Hip-Hop Inspire A New Generation Of Architects"? Artist Nikki Jean and Michael Ford appeared NPR’s “Here and Now” with host Robyn Young to discuss The Hip Hop Architecture Camp, The 2018 Hip Hop Architecture Design Cypher, our upcoming trip to Kenya, and Nikki’s new single “Mr Clean” featuring Lupe Fiasco. 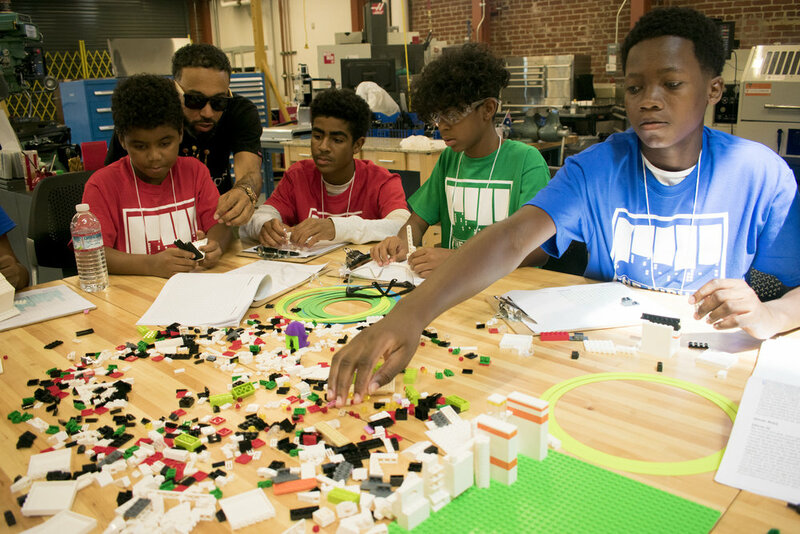 Wednesday, February 21, 2018: The Hip Hop Architecture Design Cypher organized by Michael Ford at Autodesk's Pier 9 in San Francisco had top hip hop lyricists join with the nations top young architects, designers and technology creators to explore the juxtaposition of architecture and hip hop! The Hip Hop Architecture Design Cypher was a three day event, challenging participants to explore the cultural implications of architecture in the built environment through the lens of Hip Hop Culture. Focusing on the intersection of theory and practice, participants explore hip hop as a revolutionary approach to understanding, conceiving, and generating architecture for a just city. Artist included Lupe Fiasco, Nikki Jean, Daylyt, ChinoXL, and TRP. The team of architects included, Eryk Christian, Ingrid Gonzalez, Jason Pugh, Pascale Sablan, Bryan C Lee Jr., Kouyate Toure and University of Detroit Mercy architecture student Phillip Robie. About 2 percent of architects in the U.S. are African-American. That’s a statistic Michael Ford wants to change by using Hip Hop to inspire young people to think of new ways to solve urban development problems that segregate and marginalize low-income communities. In the St. Louis region, the free program will begin July 30 at the Natural Bridge Branch of the St. Louis County Library. Click here to register.